These days we are presented with different options and price points for utilising on premise or on line services, and as a consultant, I’ve been using different versions of hosted Exchange for the last eight years (my mantra is stick to what you know! ); two years ago I migrated to Office 365. With the advent of a new Project Server 2013 on premise installation I decided to utilise my O365 email as an SMTP gateway to receive notifications. Like many IT conundrums the final solution was relatively simple, but to save you the trouble of “binging” and “googling” for a day, this is how you do it. 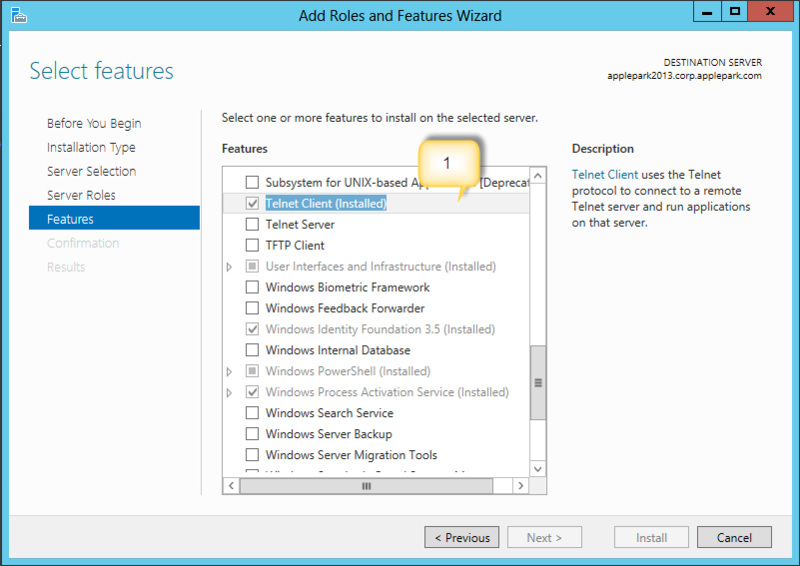 In Server Manager, add the SMTP Server feature. I haven’t gone through all of the screen shots here as it’s fairly self explanatory! 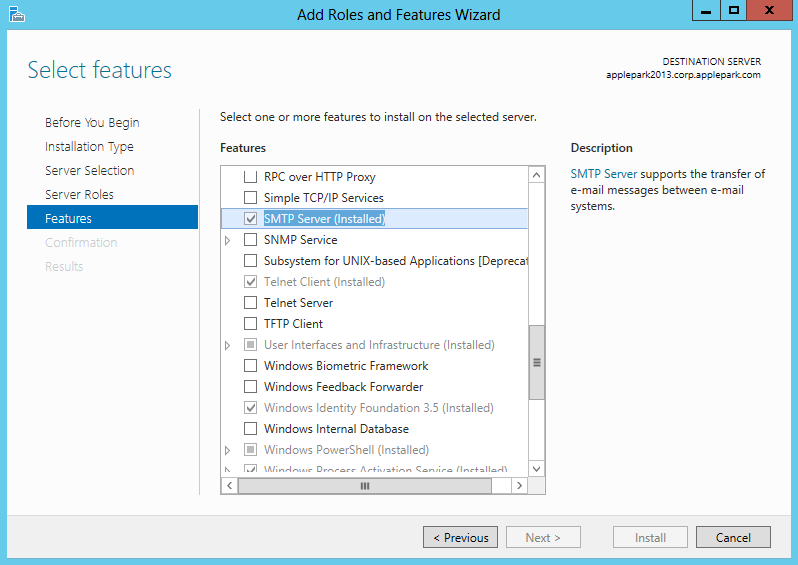 So, on Windows Server 2012, when the SMTP server is installed, it is accessed via the IIS 6.0 Manager. 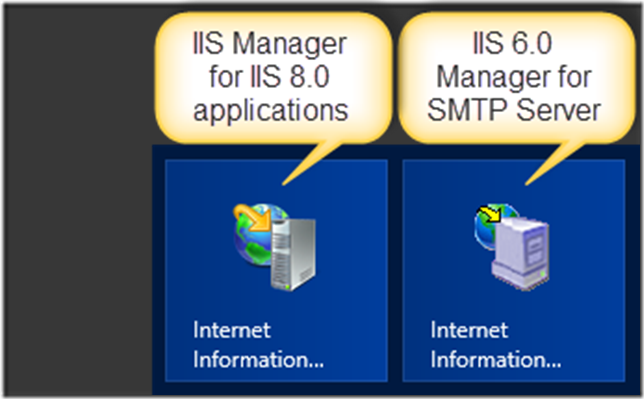 To configure the SMTP server, open the IIS 6.0 Manager. 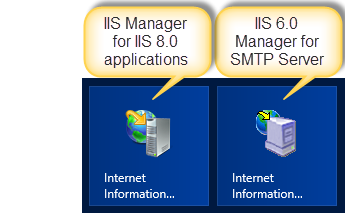 Note that IIS 6.0 manager has a different icon to the IIS already installed IIS Manager. 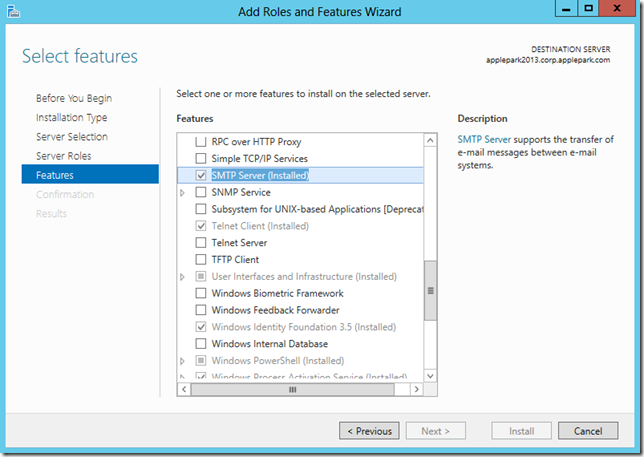 After opening up the IIS 6.0 manager, configure the SMTP server. 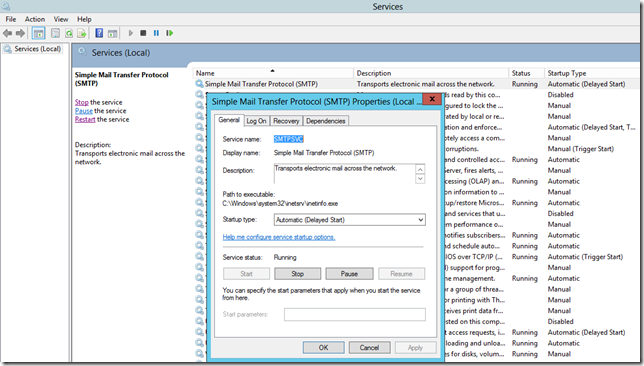 Right click on the [SMTP Virtual Server] name and select Properties. 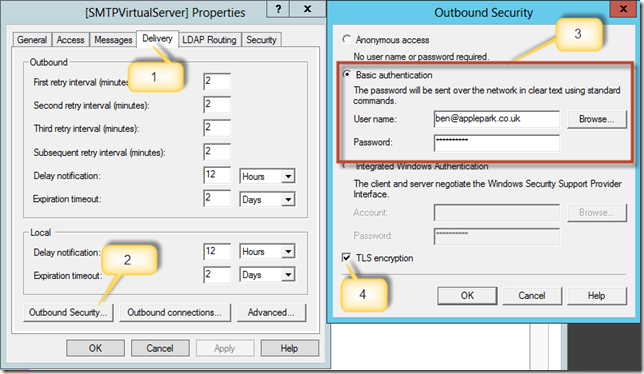 One the Delivery tab, click on the Outbound Security button. Enter a valid user name and password. 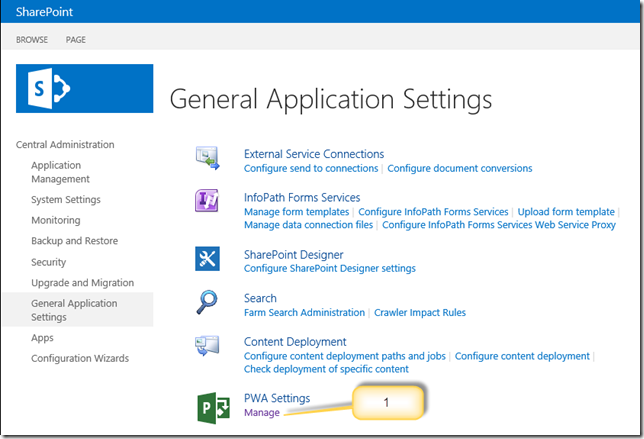 This account must exist within O365, and that this address will be used as the “from” address for Project Server. For production systems, I would suggest a user such as ProjectServer@domainname.com. The TLS encryption option must be checked. 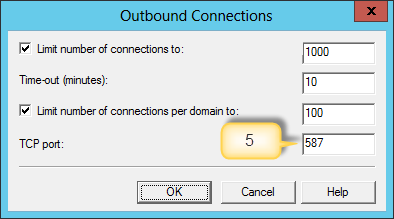 Now click the Outbound connections button, and set the TCP port to 587. 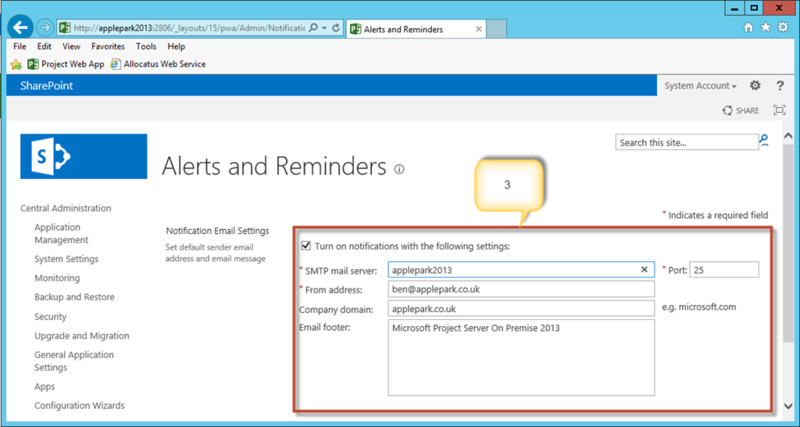 Now click the Advanced button, and enter the fully qualified domain name of your SMTP server. 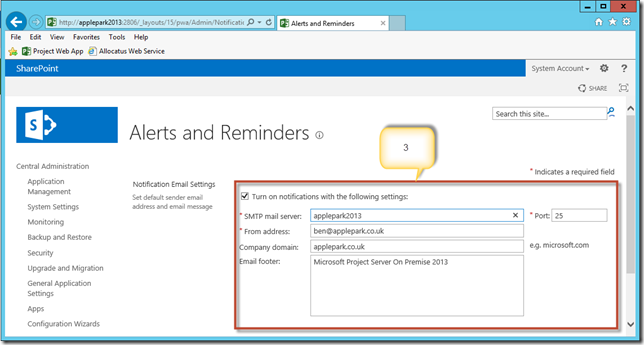 Ensure that the SMTP Server is started. 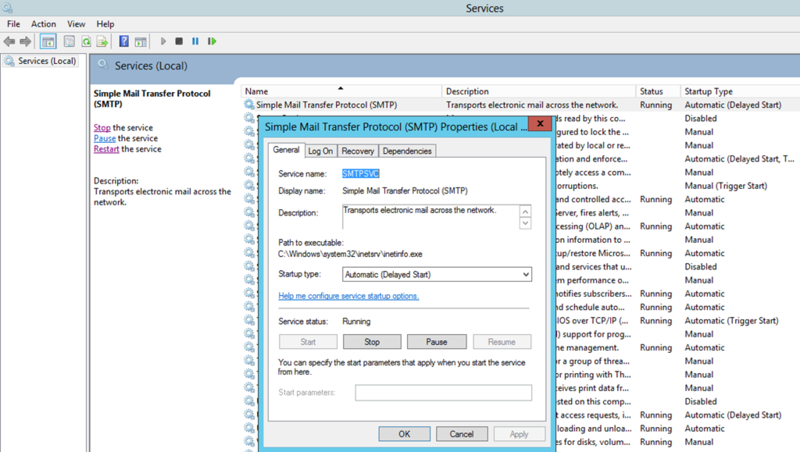 It’s a good idea to test that the SMTP server can send emails to O365, and that O365 will deliver those – you do this by using the Telnet command, which may need to be installed. In Server Manager, add the Telnet Client feature. Once installed, open a command prompt, and enter the following. If the SMTP Server is up and running, you should get a reply in the format below. 220 applepark2013.corp.applepark.com Microsoft ESMTP MAIL Service, Version: 8.0. Enter the following, where the email address is the same as the user name set in the Outbound Security button on the SMTP Server configuration. Enter the following, where the email address is the recipient for the email. 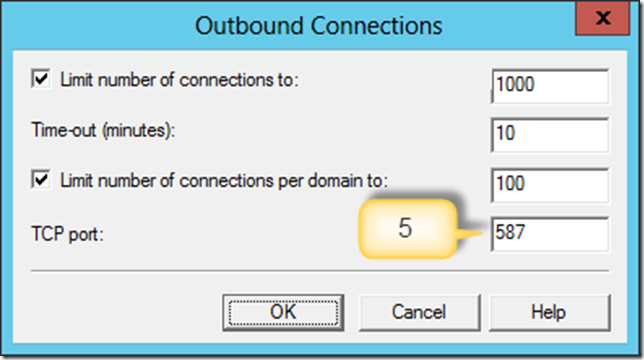 This can be any valid email address configured on your O365 system. The whole command window should look a like the following. 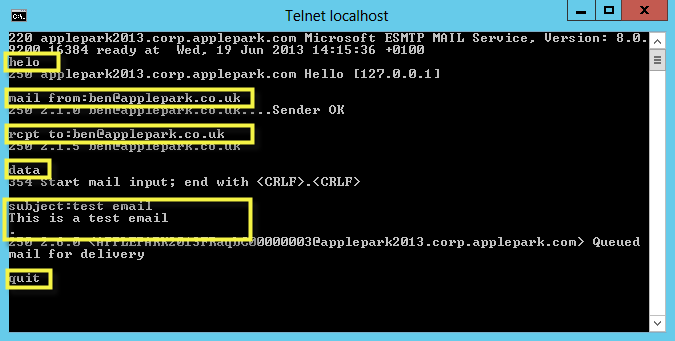 I’ve highlighted the input, the output from the SMTP server is also shown. All being well, you should get an email, if not, you are stuck with troubleshooting your SMTP server. 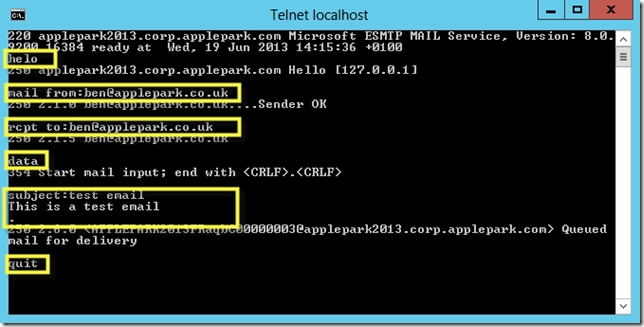 And enter the server name for the SMTP mail server and the From address. 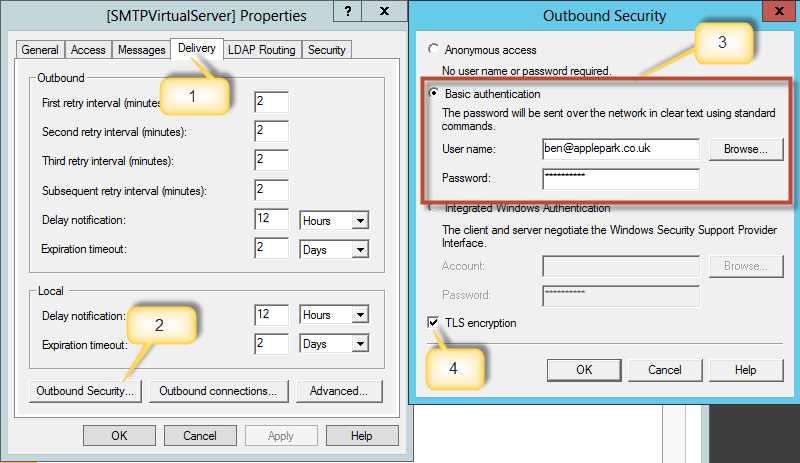 Note that the From address must be the same as the user name set in the Outbound Security button for the SMTP Server. 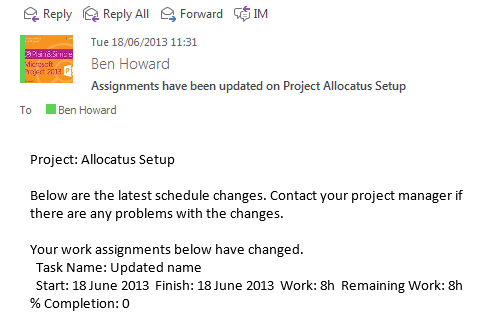 Initiate an alert, the easiest way is to create some new task assignments, or move some existing assignments.